St. Patrick's Day may often be cold and is sometimes snowy, but there's no comparison to March 17, 1936. Eighty-three years ago, Buffalo had its snowiest St. Patrick's Day ever – and that day still holds the record for the snowiest March day. Nineteen inches of snow fell in Buffalo on March 17, with another 10 inches the following day. The snow was so deep and heavy that by midafternoon, streetcar service had ceased. The Buffalo Evening News reported that traffic was "paralyzed" in the city and that "not a single shovel was turned nor a man put at work by the Division of Streets in Buffalo" because funds for snow removal had dried up. 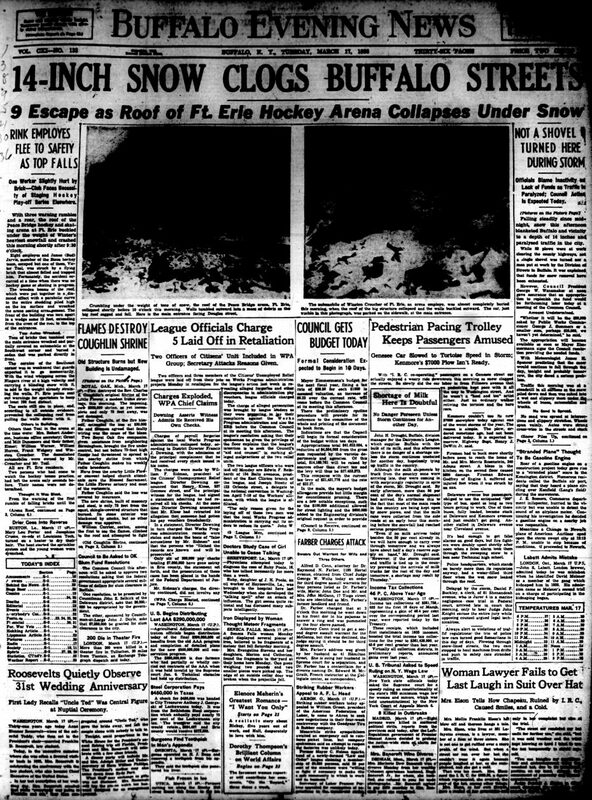 The News also showed photos of the roof of a hockey arena in Fort Erie, Ont., that collapsed under the weight of the heavy snow. 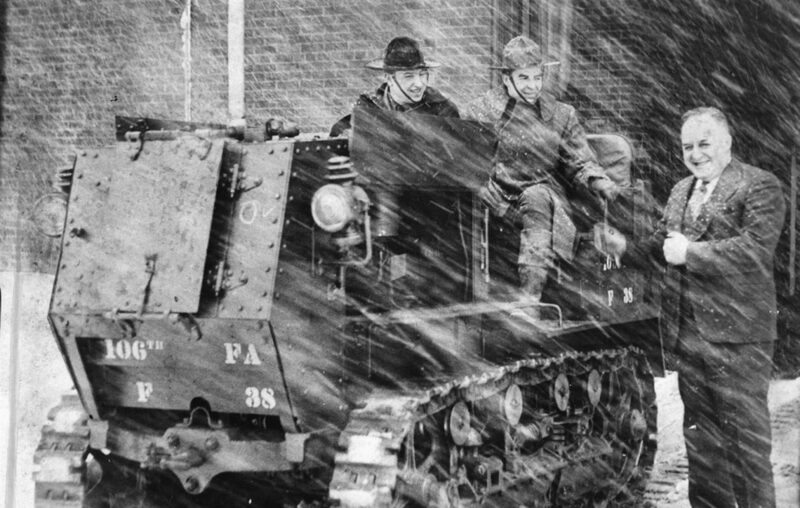 The snowiest St. Patrick's Day in recent memory doesn't even come close to 1936. In 2001, 5.4 inches of snow fell, according to National Weather Service data. Right-click on the front page below to open it in a new tab and zoom in to read.